Was 2016 Really That Deadly? John Glenn. Carrie Fisher. Debbie Reynolds. Zsa Zsa Gabor. Gene Wilder. Lots, lots more. OMG! Worst year evah! I wonder. And because I wonder, I doubt it. Plenty of ordinary people died too. We had one death in our extended family. Several of my friends lost parents this year. A quick look back shows such deaths happening every three or four years. There was a peak circa 2000-2010 when extended family in the Greatest Generation were dying. Those individuals were in their 80s, mostly, which is when a great many people die. There are a lot of Baby Boomers, and Baby Boomers are hitting a knee in the mortality curve. The oldest Boomers are crossing 70 now, and the curve goes up sharply after that. Basically, there are lots more old people now than in the past, and old people die more frequently. All that is pretty obvious, and I list it here as a reminder. Humanity is aging. That’s not a bad thing, if living longer is better than dying young. In truth, I thought Zsa Zsa Gabor died years if not decades ago. She lived to 99, so she stood out in my mind, as does anyone who lives well into their 90s. Horizontal fame falls to people who are very famous and generally known to the population at large. Vertical fame falls to people who are well-known within narrower populations. Age cohort fame is vertical fame along a time axis: It falls to people who are generally known but by people in a narrower age cohort, like Boomers or Millennials. John Glenn had horizontal fame. Zsa Zsa Gabor had age-cohort fame: She had been out of the public eye for quite some time, so while Boomers mostly knew who she was, I’ll bet plenty of Millennials did not. Vertical fame is interesting, and I have a very good example: David Bunnell was a tech journalist, so as a tech journalist I knew him (personally, in fact, if not well) and know that he was well-known in tech journalism and very much missed. The fact that another well-known and much-loved tech journalist, Bill Machrone, died only two weeks later, gave us the impression that tech journalism had a target on its forehead this year. The fact that both men were 69 at the times of their deaths just made the whole thing stand out as “weird” and memorable in a grim way. Most people have a passion (or several) not shared by all others. We can’t pay attention to everything, but all of us have a few things we pay attention to very closely. I’m not a medical person, so when Donald Henderson (the man who wiped out smallpox) died, I had to look him up. Those in science and healthcare probably recognized his name more quickly than people who focus on music or NASCAR. The point here is that almost everyone falls into some vertical interest bracket, and notices when a person famous within their bracket (but otherwise obscure) dies. This multiplies the perception of many famous people dying in any given year. The proliferation of vertical brackets contributes to another fame issue: We are making more famous people every year. Vertical brackets are only part of it. With a larger population, there is more attention to be focused on the famous among us, allowing more people to cross the admittedly fuzzy boundary between obscurity and fame. Over the past ten years, of course, social media has appeared, and allows news to travel fast, even news catering to a relatively narrow audience. Social media amplifies the impact of celebrity deaths. I doubt I would have known that Zsa Zsa had died if I hadn’t seen somebody’s Twitter post. I didn’t much care, but I saw it. There is another issue that many people may not appreciate: More people were paying attention to news generally in 2016. Why? The election. The profound weirdness and boggling viciousness of this year’s races had a great many people spending a lot more time online or in front of the TV, trying to figure out what the hell was actually happening, and why. I think this made the celebrity deaths that did happen a lot more visible than they might have been in a non-election year. Finally, averages are average. There are always peaks and troughs. In fact, a year in which celebrity death rates were simply average would be slightly anomalous in itself, though no one but statisticians would likely notice. I’m guessing that we had a peak year this year. Next year might be kinder to celebrities. We won’t know until we get there. To sum up: This past year, for various reasons, more people were paying attention, and there were more ways to pay attention. These trend lines will continue to rise, and I have a sneaking suspicion that next year may also be seen as deadly, as will the year after that, until the curves flatten out and we enter into some sort of new normal. Grim, sure, but not mysterious. There may well be reasons to consider 2016 a terrible year, but thinking rationally, the number of celebrity deaths is not among them. The Army Corps of Engineers turned off Niagara Falls in 1969. It was surprisingly easy to do. One of the reasons Americans got so fat starting about 1980 may be the explosion in the use of vegetable oils from about that time. It’s not simply solvents left over from seed-oil extraction, nor the estrogen-mimicking properties of soybean products, including oil. It’s a subtle matter involving the balance of two chemicals that allow our mitochondria to do their job. This piece is long and in places quite technical, but it may be the most important article on health I’ve seen in the last several years. A Harvard study suggests that moderate coffee drinking correlates with longevity. This is good news, but I wonder if it’s less about the coffee than about what I call “lifestyle panic” on the part of people who abstain from coffee…and almost everything else. Deep frying vegetables makes them more nutritious than boiling them. Stop the presses: Fat is good for you! Somebody told me about this, but I lost the referral: The Raspberry Pi has a hardware random-number generator on its SoC that generates true (not pseudo) random numbers from thermal noise in analog components. There’s now a driver allowing programmers to use it, and the article shows the difference between true random and pseudorandom numbers with some very nice graphics. CO2 isn’t all bad news: New science from Australia suggests that more CO2 improves tree growth and drought tolerance. I keep wondering if higher CO2 levels are bad news at all. Also from Glenn Reynolds: The 17 equations that changed the course of history. From Cedar Sanderson: Magnetically levitating bonsai trees. I couldn’t see that without thinking of The Little Prince. Rickets, a bone disease causing crippling limb defomity in children, is coming back worldwide. The disease is caused by vitamin D deficiency, and researchers suspect that its resurgence may be due to parents’ irrational fear of dairy products and sunlight. The 27 Worst Things About Stock Photo University. And he doesn’t even mention how every last person attending there is drop-dead gorgeous and thin as a rail. Just when you thought that shabby chic was firmly and permanently planted in the trash can, Anthropologie starts selling a shabby chic trash can. This is meta. Or ironic. Or meta-ironic. Or maybe just dumb. If you’re considering self-publishing, here’s a site you should read, and follow. We’ve discovered a couple of what I guess we could call owie-hot superconductors (room temp is for wimps!) with critical transition temperatures as high as 141C. (Alas, none of the alloys contain ytterbium.) The larger site is a good resource for superconductivity freaks. Frank Glover pointed me to something I wouldn’t have expected: an Airbus recoverable orbital cargo module that flies back to ground with…propellers. Esther Schindler sends a link to an article graphing 144 years of stats on American marriage and divorce. Marriage rates are now the lowest they’ve been in recorded history. Matt Ridley absolutely shreds the 60-year-old war on fat and cholesterol. It’s possible (not easy, but possible) to turn your Windows 10 upgrade to a bootable ISO. Don’t stop there: Roy also has indexes for 2N, 2SA, 2SB, 2SC, 2SD, 2SH-2SJ, and odd-numbered transistors. Also diodes, optoisolators, and bridge rectifiers. ICs too, in too many separate indexes to list here. Go to the index of indexes and see it all. The Foundation for Individual Rights in Education (FIRE) has a summer conference teaching students how to fight campus speech codes. Applications are due by July 3, so if you’re a student or know one, the time to act is now. A big sorry-you-insufferable-idiots goes out to our snooty urban elite: Both malls and suburbs are doing fine, and in some places are roaring back. One man designed Tobor the Great, Robbie the Robot, and the Lost in Space robot, and he lived to be 100. More robots: Among the least-appreciated funny robots in film history are the one-eyed robotic lawnmowers that chase Jerry Lewis around in the mayhem-filled action climax of his 1962 film It’s Only Money. Here’s the original trailer. Watch it to the end, where the lawnmowers steal the scene even from Lewis. Presidential portraits from another universe by artist Jason Heuser. My favorite is Richard Nixon with brass knuckles punching a smilodon’s lights out, though Ben Franklin fighting Zeus while riding an American Beauty-style kite is right up there. I’m less sure of this than the author, but it’s something to think about: Apple may not always rule; look at IBM. Researchers who were testing Android apps to see what-all they connected to (generally without notifying their users) found that dopey little apps of no special character were connecting to thousands of tracking sites. Then they did the obvious, and created an app that watches the other apps and logs what connections they make. The Sun just ain’t wakin’ up nohow. Barely a year after Cycle 24’s sunspot maximum, whatever sunspots exist are barely discernable. Last year we had the weakest peak since 1906, and the cycle as a whole may eventually become the weakest in recorded history. Don’t relax too much: The Carrington Event occurred during a weak solar cycle. Recruiters looking to discriminate against older people are now asking for “digital natives.” Lawsuits are beginning. The real problem: It’s legal to charge employers more for group health policies when their staff skews older. Outlaw age underwriting entirely, and that problem will mostly go away. Will TV just die already? Cable subscribers drop below Internet subscribers at Comcast. Anything you can watch on TV, you can watch on the Internet. TV is now a redundant nuisance. As an Army radio operator stationed in Italy, my father watched the March, 1944 eruption of Vesuvius, and called it the scariest thing he ever saw. That was 71 years ago. If (nay, when) it erupts again, we’re going to have a lot of very serious problems. Everybody’s aggregating this, but it sounds bogus to me: The more coffee you drink, the longer you’ll live. (Some people I know should therefore live forever.) I’ll stick with my theory: You can do worse than your genes, but you can’t do better. And might I also suggest, for those who attempt immortality the Folgers way, to recall the dangers of invoking the invisible, jet-packed Mr. Coffee Nerves. How long would one of Tesla’s new Powerwall home-power batteries keep your house running? Wired does the math. If you want to read Larry Correia’s Monster Hunter saga, start at the beginning. The books make much more sense if you read them in order. 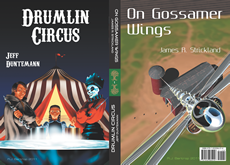 Baen offers the first three as an ebook bundle.